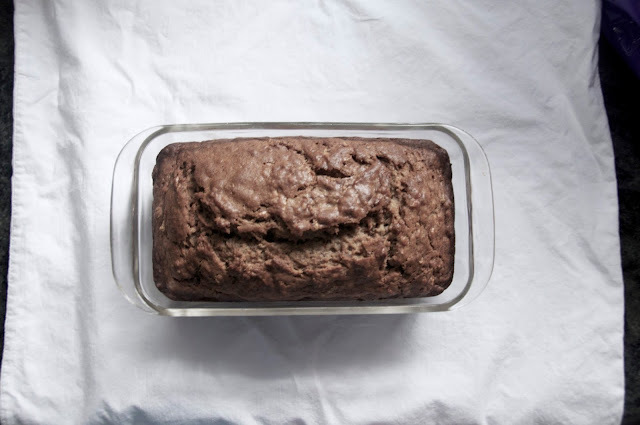 banana bread is always welcome. 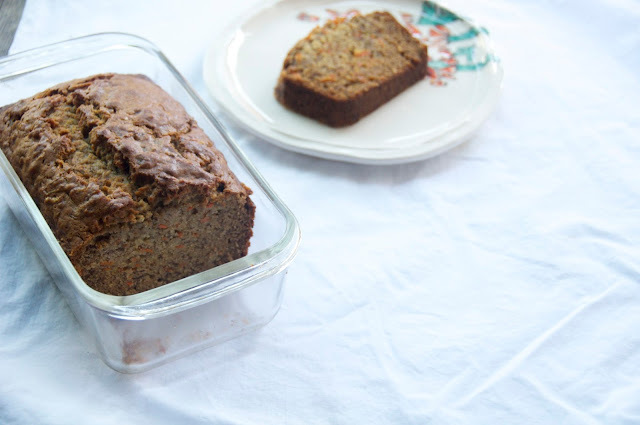 banana bread that's like carrot cake. preheat oven to 350 degreesF. combine the dry ingredients in a medium bowl - flour, baking soda, salt, cinnamon, and nutmeg - and whisk to combine very well. in another bowl, combine the bananas, brown sugar, oil, and eggs. dump the dry ingredients into the banana mixture and stir to combine. 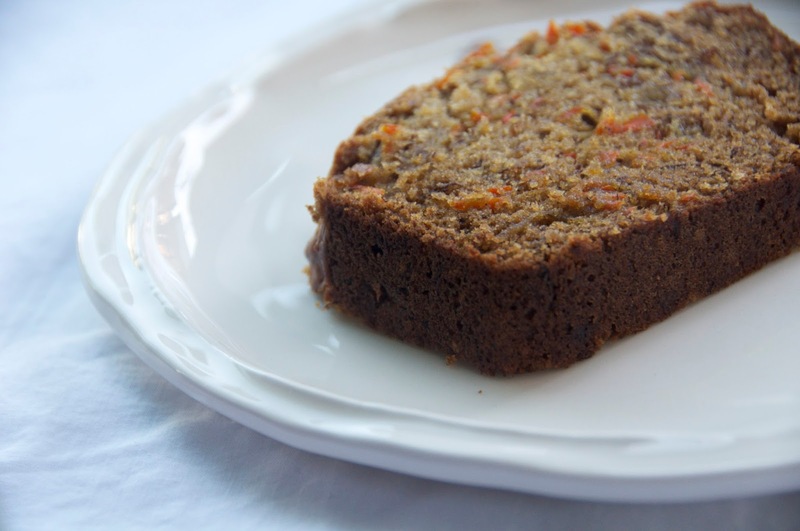 fold in the grated carrots and dump into a greased 9x5" loaf pan. bake for 45-50 minutes until a toothpick inserted into the middle of the loaf comes out clean.